On the left is a 1978 Volvo F88 which has been owned by the Evans family (who now own the mill) since new. It was used to haul timber for Ransfords and was enjoying its first run out in 2019 on a lovely April afternoon. 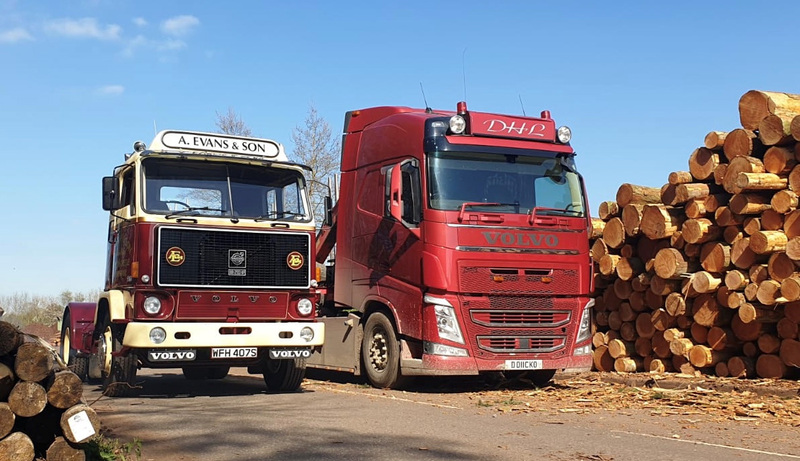 Amazingly, the old Volvo came across the modern FH Volvo log truck on the right delivering Douglas fir logs from the Carlisle area. This was a picture that just had to be taken!